Culinary Adventures. – Recipes & Food Writings. Late June into early July has been an insanely busy cooking time period for me! First it began with camp. I’ve never been camping before, I’ve never been out doors for days on end and slept in a tent before. But thankfully, I was going with friends who knew what they were doing! For the food plan, the best thing to do was to pre-cook everything and just heat it up at camp. This was a fabulous idea! And as I kept cooking and making things for camp, the room in my freezer dwindled. All I have to say is thank goodness for portable butane burners. They come in REALLY handy for camp! One of the most popular things that I made, aside from a vast assortment of cookies, were vegan handpies filled with lentils, potatoes, and carrots in a curry sauce. 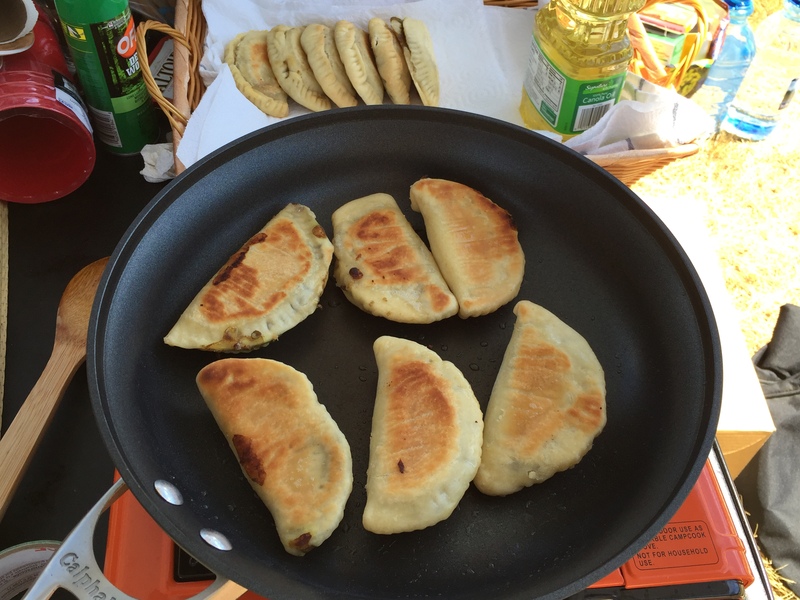 I baked them at home and froze them, then at camp, just heated them up in a skillet with a tiny bit of oil to crisp them up again. Portable, delicious, and highly shareable! 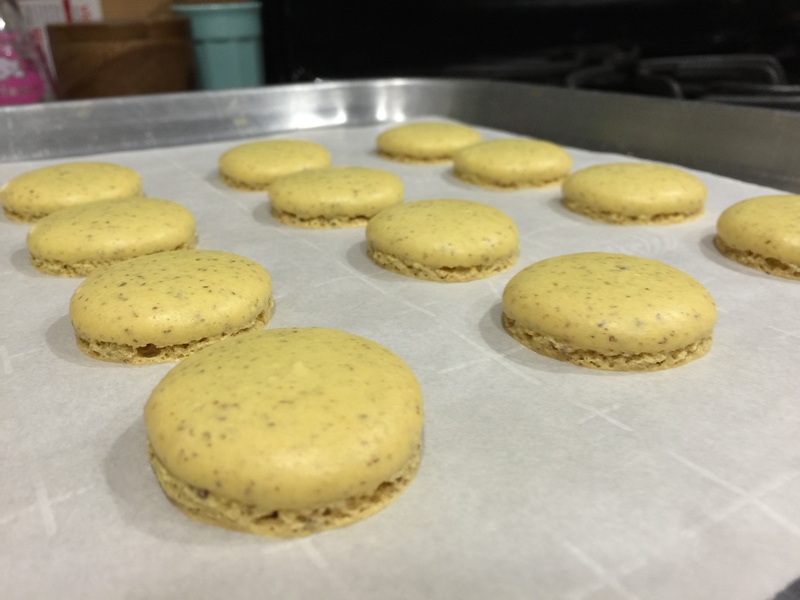 When I got home from camp, I had a work of week, then it was onto my next baking project…Macarons for a friend’s wedding! When my friend told me that she was getting married, I offered to bake her a wedding cake as a gift. 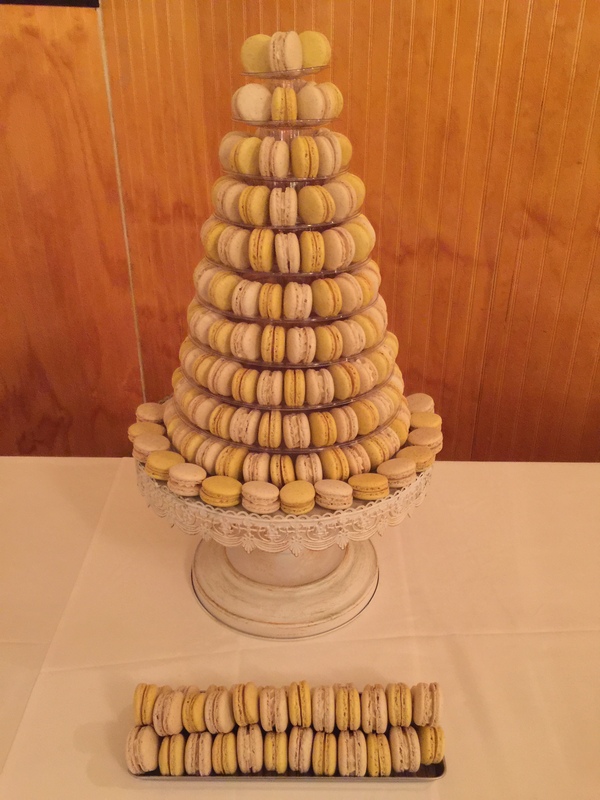 But there was a French theme to the wedding, so she wanted a tower of French macarons instead. Two colors, natural and pale yellow. And two fillings, lemon curd and vanilla bean cream. 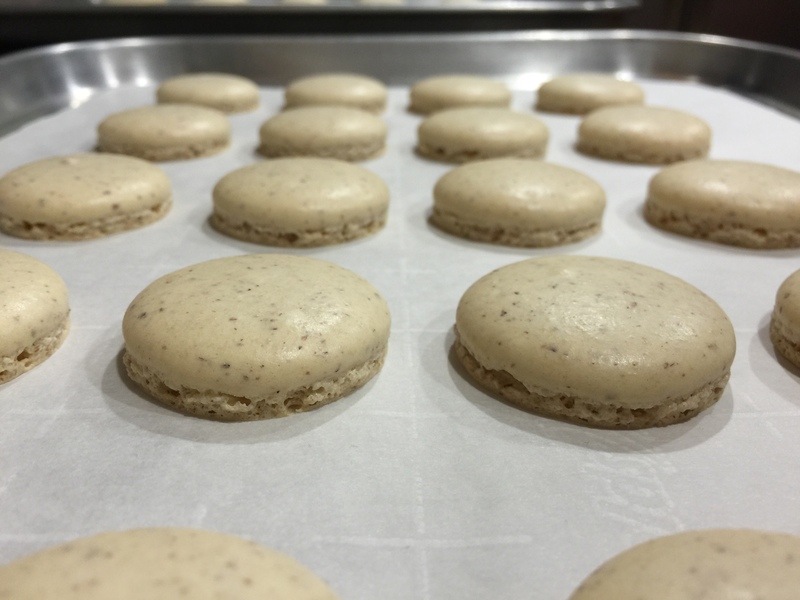 And so began the week-long process to make 600 macaron shells! And then the filling…and then the sandwiching of them together. And then transporting them. And then building them into a tower display! I have a confession to make, though. 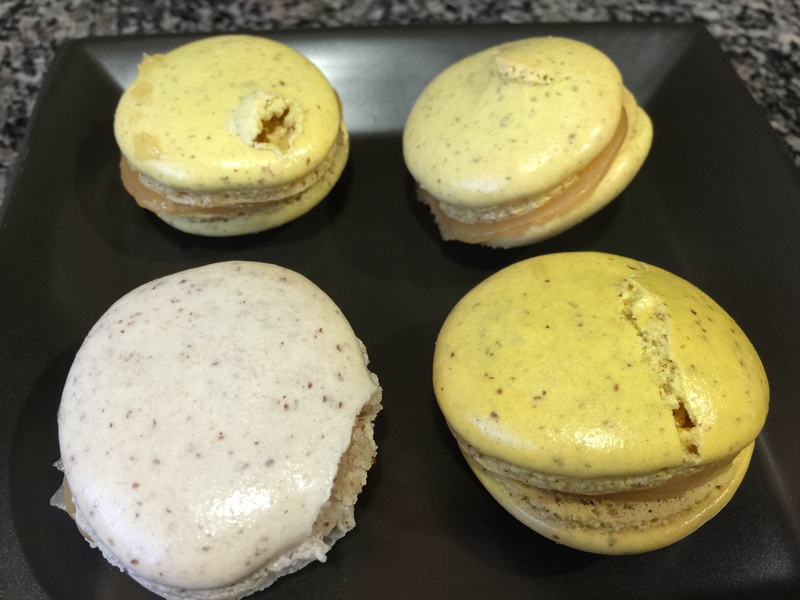 I only learned how to make French macarons last year because they’re pretty intimidating and fickle and easy to screw up. And after getting angry and throwing away several failed batches, I finally got them right. So if you feel like you’re not good at cooking something, just keep practicing and keep trying! You’ll eventually get it down. Musicians and performers need practice, and cooking takes practice and patience too. Don’t give up! Remember…even if you’ve got things down, they don’t always end up perfect! 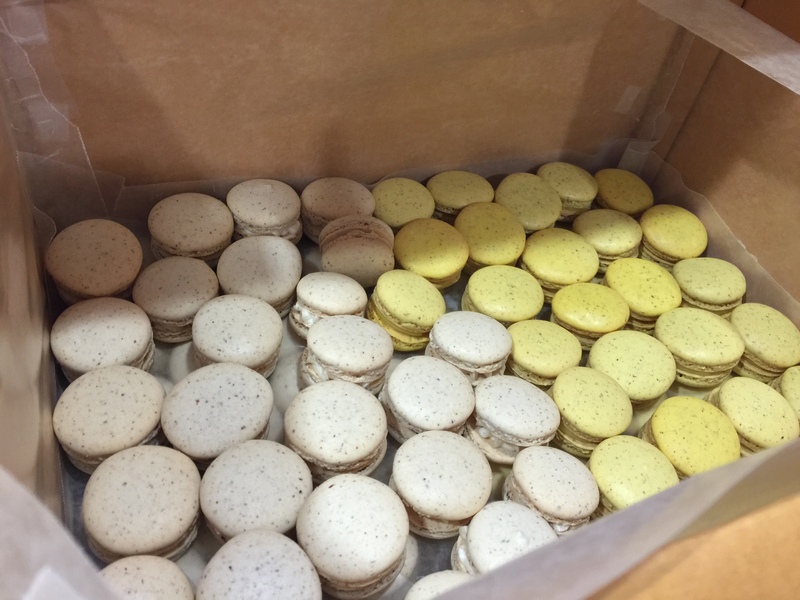 And when you’re making 600 macaron shells, there are bound to be some rejects. 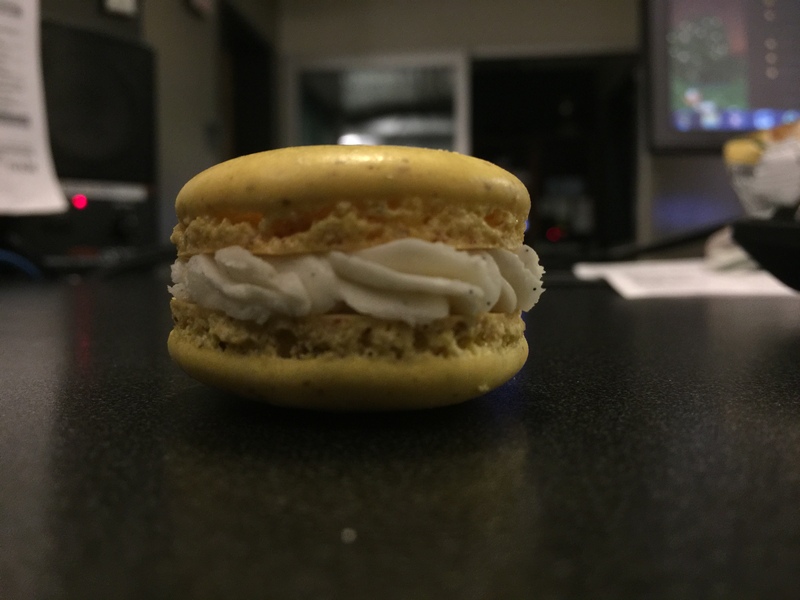 As much as I proclaim that I never want to make another macaron again, I have to tell you that they’re kind of addicting to make. And as stressful as they are, they’re fun to make. Right now, there are too many ideas for all the different types I could make floating around in my head – colors and various fillings. But those can wait for another time. I think for now, I’m just going to bake some old fashioned peanut butter cookies. Easy-peasy and no piping needed. Previous Post Recipe: Corn and Cheese Muffins.